due to its abstract, if you will, relationship with the law. For this reason a high level of professionalism, on behalf of MI5's operatives, is necessary in order for the operations within which, they are being involved, to be carried out with accuracy and without mistakes. Inaccuracies and mistakes, within your profession, means, among other things, an increased propensity for unnecessary casualties among innocent civilians to become manifested. Work is work and recreational activities are recreational activities. Professionalism does nor allow those two incompatible activities to manifest simultaneously. Children are allowed to, occasionally, mix them while, MI5's operatives, according to my opinion, are not. I would like to assure you, in this point, that some minorities, that do not comprehend the human life as a subjective value, but, rather, they consider her as being invaluable and sacred, still exist. In case that you would be kind enough to respect those minorities' sensitivities, it you be much appreciated if you would make certain that, the operatives of your service embed all the required professionalism that would secure the minimization of the innocent civilians casualties. The Security Service, also MI5 (Military Intelligence, Section 5), is the United Kingdom's domestic counter-intelligence and security agency and is part of its intelligence machinery alongside the Secret Intelligence Service (MI6), Government Communications Headquarters (GCHQ) and Defence Intelligence (DI). MI5 is directed by the Joint Intelligence Committee (JIC), and the service is bound by the Security Service Act 1989. The service is directed to protect British parliamentary democracy and economic interests, and counter terrorism and espionage within the UK. The service has had a national headquarters at Thames House on Mill bank in London since 1995, drawing together personnel from a number of locations into a single HQ facility. Thames House was, until March 2013, shared with the Northern Ireland Office (NIO) and is also home to the Joint Terrorism Analysis Center, a subordinate organization to the Security Service. The service has offices across the United Kingdom including an HQ in Northern Ireland. Details of the northern operations center in Greater Manchester were revealed by the firm who built it. Plans to open the northern operations center were reported by The Manchester Evening News in February 2005, and plans to open a permanent Scottish office in Glasgow were reported by The Scotsman in January of that year. 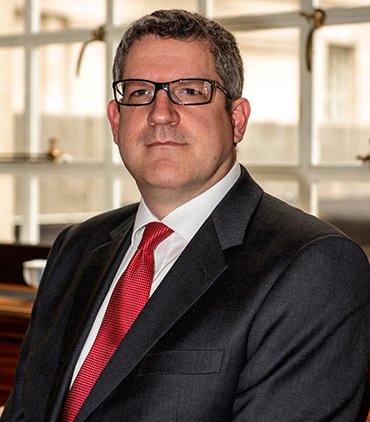 Andrew Parker (born 1962) is the Director-General of the British Security Service, the United Kingdom's domestic security and counter-intelligence service. Parker was educated at Churchill College, Cambridge where he studied natural sciences. He joined the Security Service in 1983. He was seconded to HM Customs and Excise as Director Intelligence in 1999 before becoming Director, International Terrorism at the Security Service in February 2005. After leading the Security Service's response to the 7 July 2005 London bombings and the 2006 transatlantic aircraft plot, he became Deputy Director-General in 2007. Parker went on to become Director-General of the Service in April 2013. As of 2015, Parker was paid a salary of between £165,000 and £169,999 by the department, making him one of the 328 most highly paid people in the British public sector at that time.